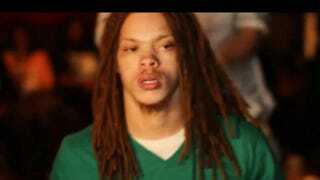 Hip-hop star Waka Flocka Flame's younger brother, rapper Kayo Redd, died Sunday in Atlanta. The cause of death is still unknown, but conflicting reports have stated that Redd, who died shortly after tweeting out a link to his new mixtape, was either shot in his old neighborhood or committed suicide, Rolling Stone reports. A tweet from Waka Flocka's official Twitter account initially stated that his brother had committed suicide, but that tweet has since been deleted from his feed. Some hours later, Waka Flocka took to Twitter to express his sadness. "God please bless me," he tweeted. He later added, "Ya Big Brother love you Kayo." This isn't the first brother Waka Flocka has lost. Their mother, Debra Antney, the famed hip-hop manager and sometime cast member of Love & Hip-Hop Atlanta, tweeted last night, "I just lost another son." Antney, who manages Waka Flocka's career, told Vibe magazine that the loss of his youngest brother Caodes when he was 13 changed him. "Waka was like 13 years old, going on 14. And it was hard. Since my son died, that’s when [Waka] flipped," she told Vibe. Waka Flocka's brother wanted to go help a friend with homework so his friend wouldn't get a beating once his father got home. "Waka told him to go, he'll cover for him. So [when Caodes was biking home, he was killed by a car, and] Waka blamed hisself. He feels very responsible for my son’s death—that’s what flipped him out." Slim Dunkin, a member of Waka Flocka's Brick Squad Monopoly crew, was murdered during an argument in a recording studio in 2011, Rolling Stone reports. Read more at Rolling Stone and Vibe.